PHILADELPHIAA family spokesperson for Sarah Murnaghan, a 10-year-old Pennsylvania girl recovering from two double lung transplants, says the girl is expected to be released from the hospital this week. Tracy Simon says a final decision hasn't been made on exactly when Sarah will leave Children's Hospital of Philadelphia. Sarah's recovery is now focused on building her muscle strength so she no longer has to use a breathing tube, according to Simon. She said Sarah recovered from a case of pneumonia that stemmed from the tube. Mother Janet Murnaghan said Sunday that her daughter had been taken off oxygen, although she still gets support from a machine that helps her breathe, and has started to walk with the aid of a walker, even getting outdoors. "My sister pointed out that today is our Mom's birthday -- she died 11 years ago," Janet posted Saturday on her Facebook page. 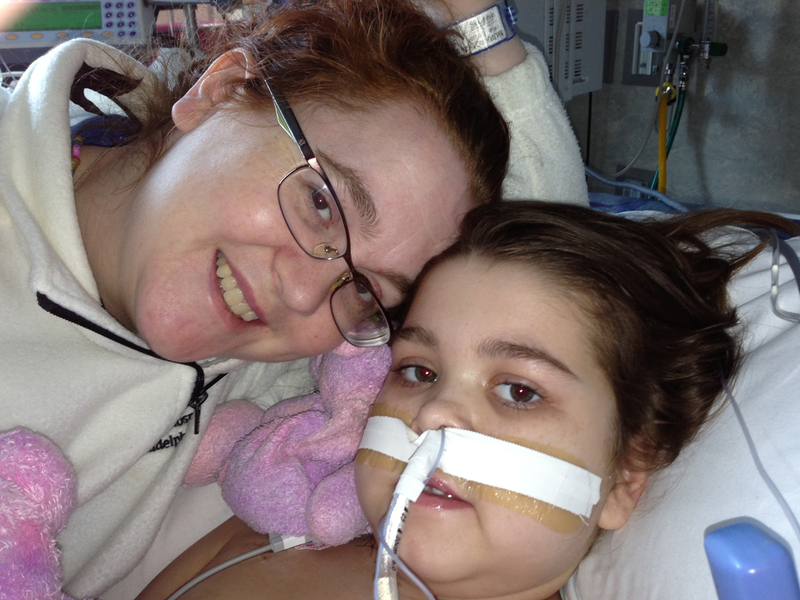 "And today is the first day Sarah has not needed any supplemental oxygen. Miracles from heaven!!!" Sarah's case spurred a national debate among doctorsover the process of getting transplanted organs. Sarah, who has end-stage cystic fibrosis, underwent her first adult double-lung transplant on June 12, but suffered primary graft failure (PGF) due to the poor quality of her first set of lungs, not rejection, according to the girl's mother. She received a second pair of lungs infected with pneumonia on June 15. Despite the high risk of taking infected lungs, her mother said Sarah was running out of time, so they decided to go forward with the procedure. After, the second transplant, the girl developed pneumonia and needed a procedure in July called a tracheostomy to help her breathe. Then, in early August, Janet said her daughter would beleaving intensive care at Children's Hospital of Philadelphia and was no longer being fed through an IV. The Newtown Square girl received the June transplants after a federal judge intervened in her parents' lawsuit challenging national transplant rules. Sarah's parents petitionedthe United States Department of Health and Human Services in May to get the girl added to the waiting list for adult transplants, and then sued in a Philadelphia court when those efforts failed. Pediatric lung transplants are very rare, and U.S. transplant rules required children be aged 12 and older to get added to an adult list. A judge ruled in early June that Sarah and another 11-year-old boy with end-stage cystic fibrosis should be added to the adult lung transplant list. The Organ Procurement and Transplantation Network added a special review process for children who are in desperate need of organs following the judge's ruling.